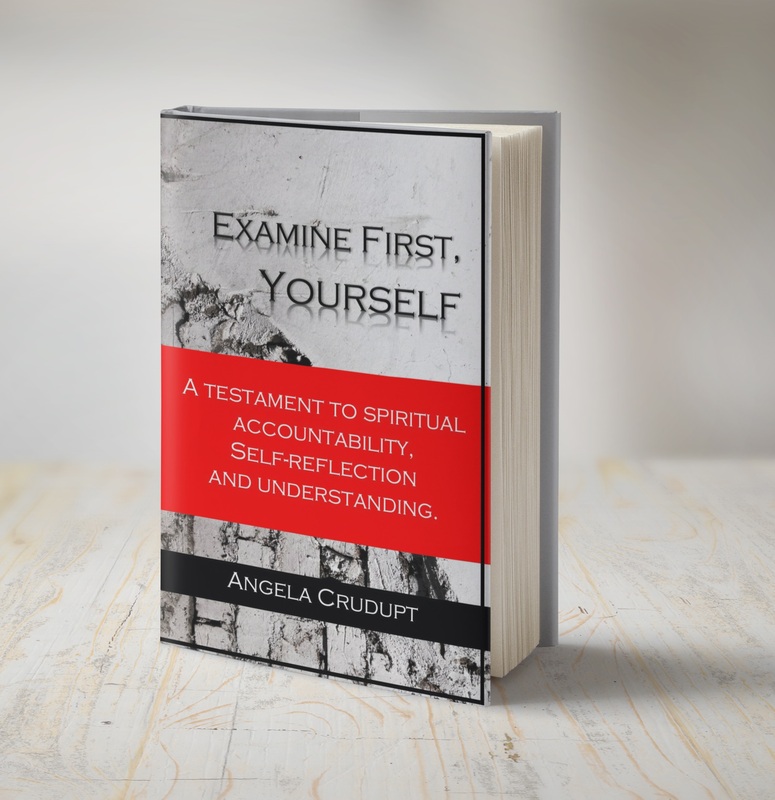 In Examine First, Yourself, Angela Cruduptseeks to challenge and motivate the readers through thought-provoking text thatinspires spiritual accountability as well as maturity in Jesus Christ.Powerfully insightful and exhortative on Christian virtue and discipline.Crudupt, fearlessly direct, uses her gift as a minister to expose,challenge and motivate the body of Christ through thought-provoking commentarythat inspires spiritual accountability, conviction, submission, andtransformation. Crudupt exhorts those who are yearning and seeking agreater spiritual alignment to passionately pursue and ﬁrmly protect their relationship with Jesus Christ. Available now on Amazon, Barnes and Noble or the Sent by Jesus Online Store!